Do you look at that picture and wonder how heavy my suitcase was? Um, a bit heavy. Although it is certainly possible that my imports were divided between my suitcase and my (somewhat unwilling) husband’s suitcase. So it was manageable. Kind of. However, now that I’m home and have set my German groceries free in the cupboard and fridge, I honestly would not leave even one behind. You see, having these groceries means I can take little bites and imagine I’m still there. 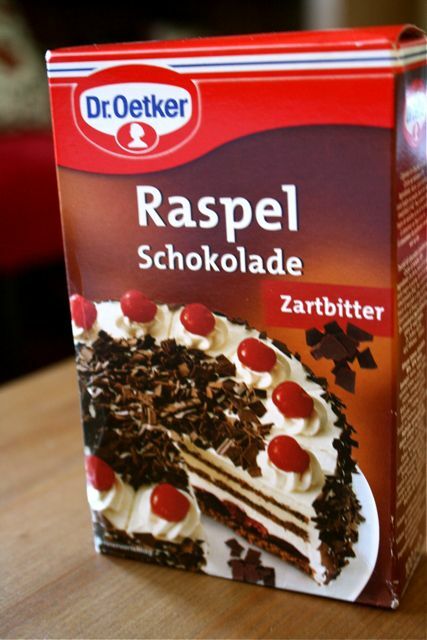 Raspel is simply pre-cut little flakes of chocolate. Yes, I am capable of taking my own block of artisan chocolate and shaving bits off. But this is more fun and the dark chocolate is exceptionally good for already being flaked. I also might tell you more about a dessert with raspel, quark fresh cheese and hazelnut yogourt sometime soon. 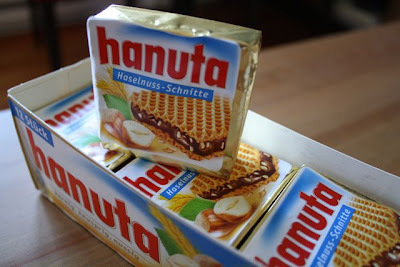 Hanuta! Imagine a perfect little square of remarkably good hazelnut chocolate sandwiched between two layers of crisp wafer. 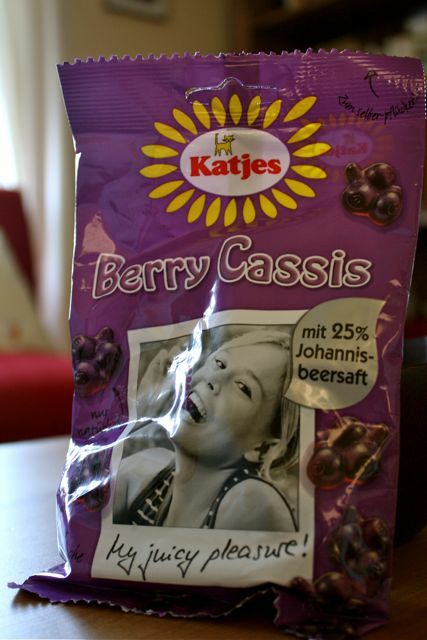 Imagine an 11-year-old Canadian girl discovering them on her first trip to Germany when they cost just 30 cents. 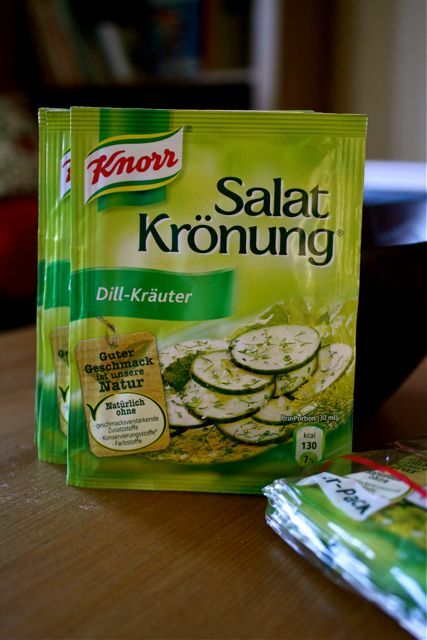 This is a dill and herb mix my Oma always used for a simple cucumber salad. Need I say more? I have always felt sorry for black currants in Canada, where they are sadly under-appreciated. Not so in Germany. May I present black currant gummies? My friend Ulla introduced these to me as we rode our bikes along the Rhein outside of Düsseldorf. 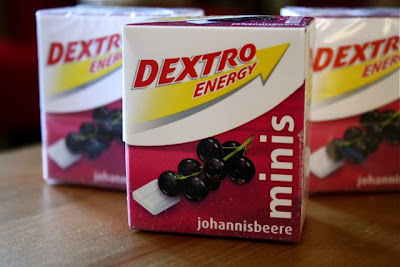 They are fruit sugars – little tablets of black currant-flavoured goodness that melt on your tongue and instantly make you feel more energetic. I may have bought one packet for work, one for the car, and one for home, but I’m not saying. 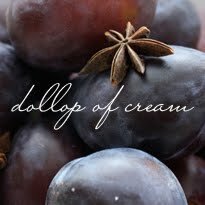 And look – they even make black currant hand lotion! Oh, wait. Actually, I didn’t realize that it’s grape seed hand lotion until I took this very photograph. Oh, well – grape seed’s cool, too. 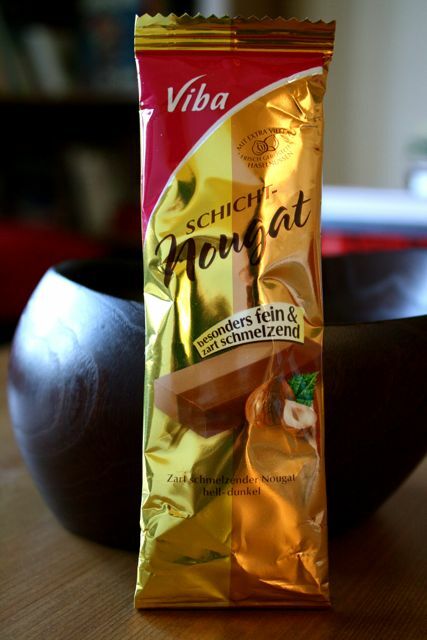 Nougat means different things in different parts of the world. In Germany and Scandinavia, it means a mix of soft chocolate and very finely ground hazelnut and possibly almond that melts almost as soon as you look at it. It is very, very good. Five years ago, I ate a nougat bar at a Swedish bakery in Vancouver. I am still thinking about it. Why – it’s a still life of . 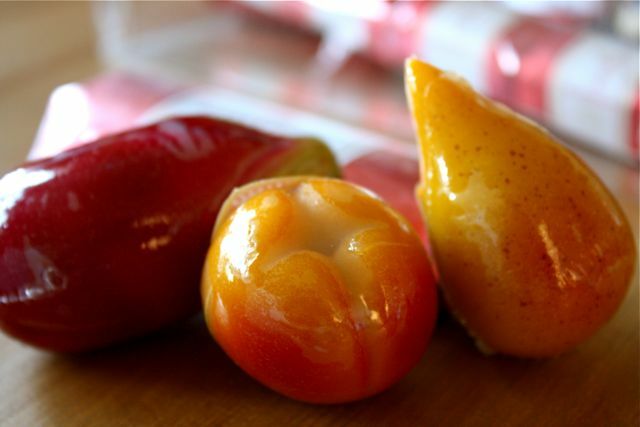 . . marzipan fruit! Marzipan laws have been very strict in Lübeck for more than two centuries. In fact, there is now a European Union Council directive that makes Lübeck marzipan a “protective geographical indication.” I’m not sure if this is the same as champagne from Champagne and parmesan from Parma, but it seems close. 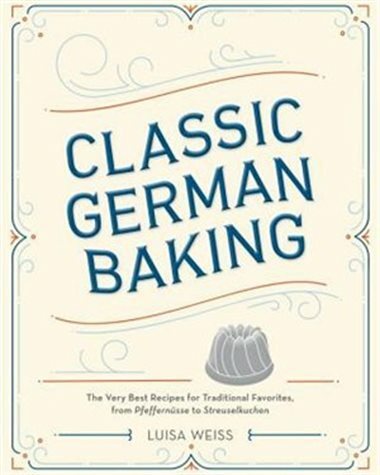 In any case, Lübeckers take their marzipan seriously. 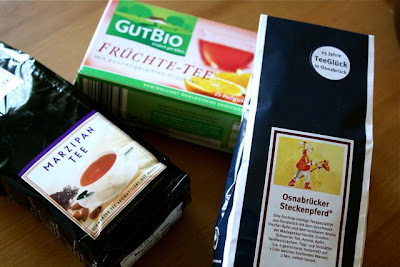 I went a little wild at Niederegger, one of the great marzipan companies there. Notice the marzipan peach, pear and eggplant. (Who thinks to make a marzipan eggplant?!) Hiding behind them is a loaf of marzipan schwarzbrot (black bread). That would be marzipan shaped in a loaf and covered in dark chocolate. Out of the photo, a small bottle of marzipan cream liqueur is waiting for just the right evening. Let’s finish this journey with a nice cup of tea. Would you like marzipan tea, Osnabrück hobby horse tea with vanilla and apple, or a traditional German red tea with fruit and rosehips? I will be back soon with an actual recipe now that I must make my own food again. 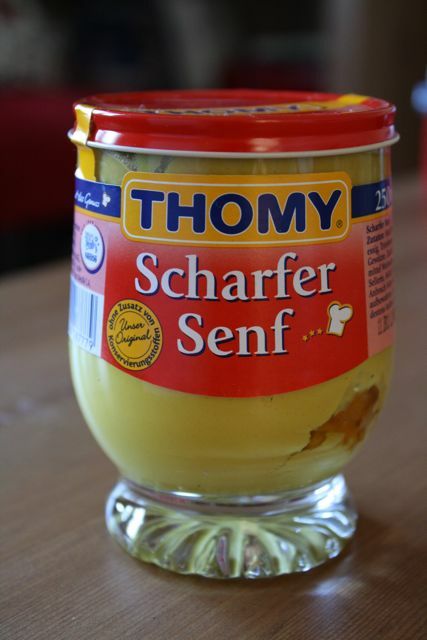 I must say that I enjoyed being spoiled rotten and constantly fed by my German friends and family. It is good to be back in my kitchen, but the dishes – oh, the dishes! I did not miss the dishes.